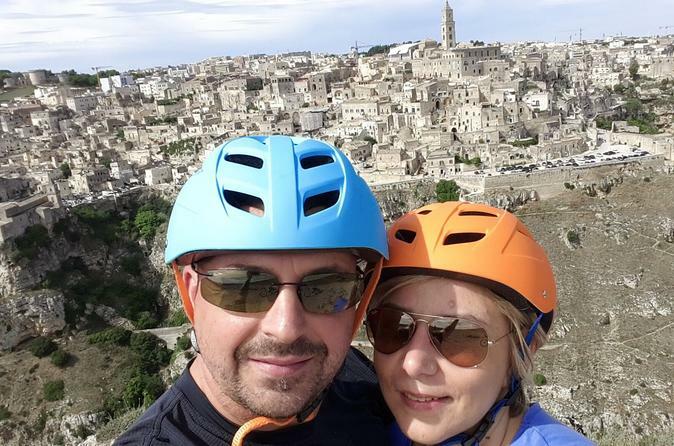 Visit Matera the city of the 'Sassi' and European Capital of Culture in 2019 with an e-bike high performance. You can visit the city while respecting the environment to the discovery of the ancient districts walking and cycling. 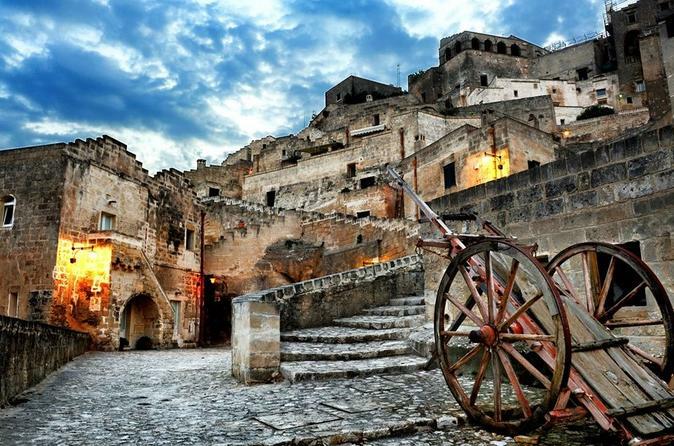 An amazing walking tour discovering beautiful Matera, European capital of culture 2019. Discover Matera in a full-day experience, including a special guided tour of Sassi of Matera with a visit to a local farmers' market and a cooking class adventure. You'll live a memorable and mind-opening experience by taking part to a fun and relaxing activity steeped in culture and customs, in a real-family environment. 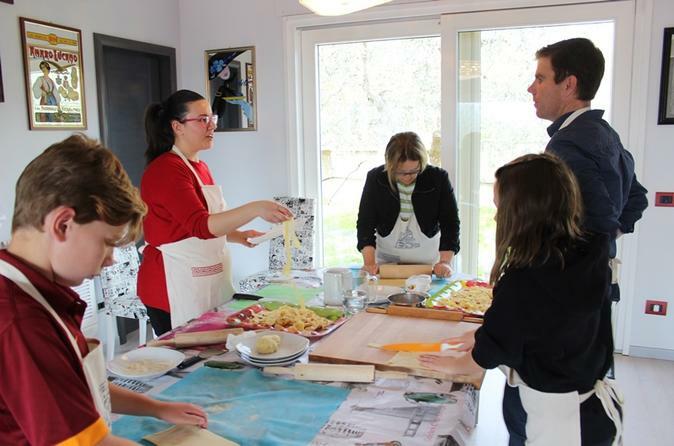 You’ll learn the secrets of the authentic Italian cuisine and its genuine ingredients and have fun with your friends while making 4 healthy and simple recipes that you can easily reproduce at home. 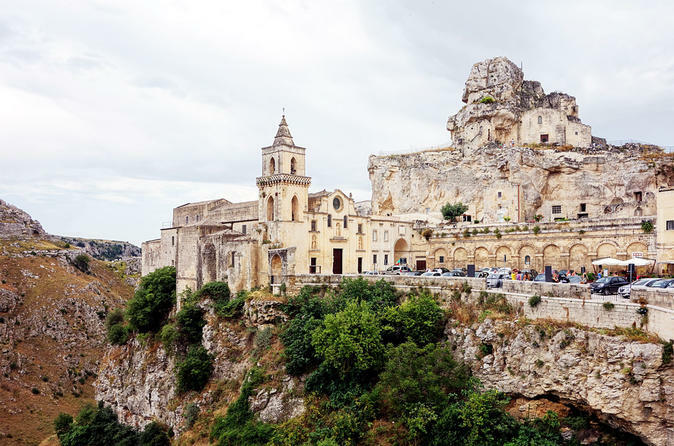 Join your expert guide on this 3-hour guided tour of the Italian province Materana, with the first stop at the Archaeological Historical-Natural Park of the Rupestrian Churches of Matera. In the Murgia Park, there are 150 rupestrian churches, different in architecture and iconography, made mostly in the Middle Ages. These churches now represent an important evidence of human presence, in particular relation to the Benedictine monks, Lombards and Byzantines. The Murgia plateau acts as a natural backdrop to this scenario where you will walk on a paleosol of prehistoric fossil-rich rangoli that transports visitors on a journey through time and space. Discover Matera in a 3-day experience, including 2 special guided tours (of Sassi of Matera and of the Murgia Park) with a visit to a local farmers' market and 2 cooking class adventures. This Italian cooking break in Matera will get you to know the Italian and local culture through its places, locations, food and wine. 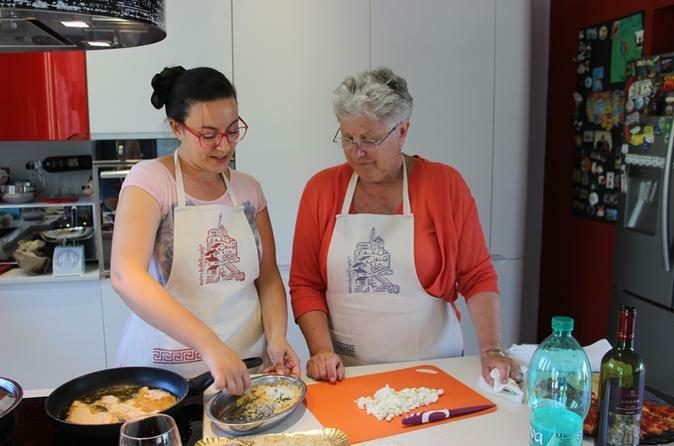 The guided tours will allow you to discover a truly unique town, and, through the cooking classes, you’ll learn the secrets of the authentic Italian cuisine and its genuine ingredients. 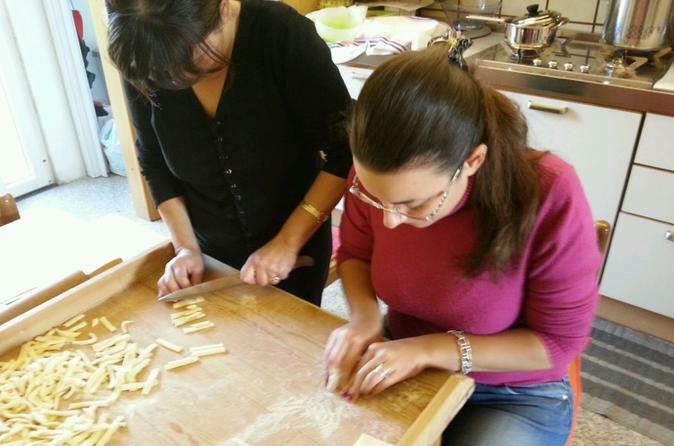 Learn the secrets of the authentic Italian cuisine and its genuine ingredients through our private hands-on cooking classes in Matera. Get to know the Italian and local culture through its food and wine; chat and have a glass of wine during the cooking lesson and relax while you dine. You’ll cook 4 traditional dishes that you can easily reproduce at home and enjoy the masterpiece you’ve just learned to prepare! 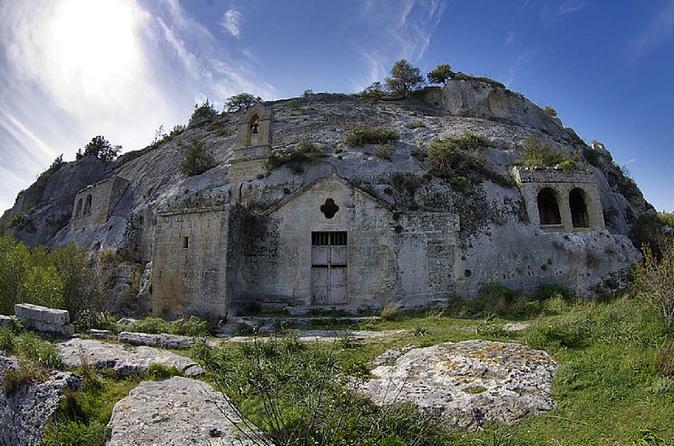 Guided Tour Sassi di Matera: The Two Stones and the Rupester Churches. Enjoy a guided tour conducted by a licensed guide and discover the beauties of this breathtaking place which is part of the UNESCO world heritage. This tour will give you the chance to see with your eyes the set places of Mel Gibson's movie, The Passion (2004). At the end of the tour, taste of local products, included in the price.